Since 1977, Enclosures International has provided professional moving, storage and transportation services for pianos at cost-competitive rates. Our staff are experts in carefully and efficiently moving all kinds of pianos -- both vertical pianos, such as console, studio, and upright, and horizontal pianos, from petite grands to concert grands -- as well as pianos, keyboards, organs and antiques. 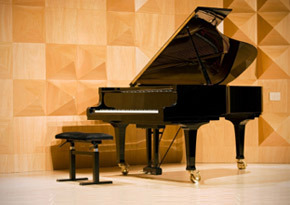 With our specialized training and years of experience moving pianos, you can trust that we know exactly how to manage a piano's bulky size and immense weight for a damage-free, successful move. From pickup to delivery, we are dedicated to the safe transport of your piano. Our movers arrive on-time in a temperature-controlled, air ride suspension truck with lift gates and special equipment, including a piano dolly and board, to assist us in moving your piano in and out of residential and commercial spaces, up on to stages, or through windows and balconies. If you require temporary storage for your piano, we also have a highly secure concrete, warehouse Additionally, We offer standby service if you wish for us to remain at your site to assist with any rearranging. Whether it is across town or across the country, Enclosures International provides quality piano moving services without the exorbitant price. Call today for a free quote.